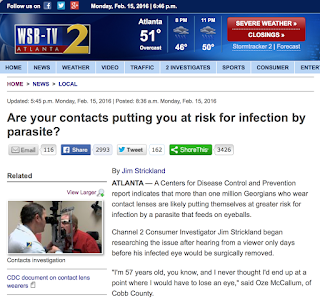 Local ABC affiliate WSB ran a story this evening about contact lens wearers and the risk of acanthamoeba infection. This is a rare, but very very serious eye infection. Those most at risk are contact lens wearers that swim in rivers or lakes and then sleep in their lenses. The news story does a good job of stressing the importance of good contact lens habits and hygiene. The story overstates the risk. Our practice has seen two patients with this infection in 20 years. 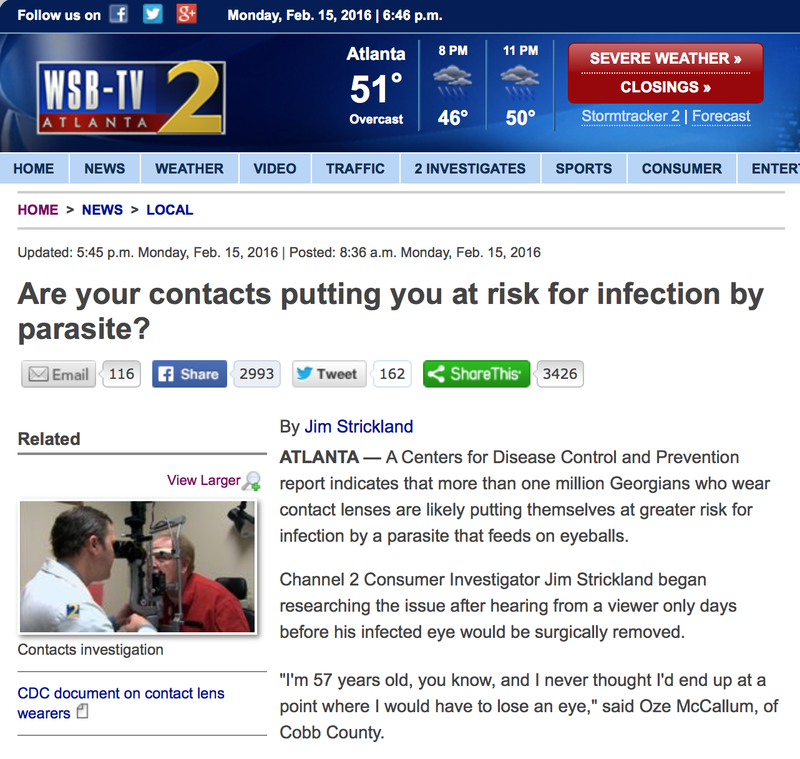 Today we texted top corneal specialists at Piedmont and Northside and both groups confirmed they have not seen a recent increase in acanthamoeba cases. That said, we don't want any patient to have to battle this bug. What are best contact lens habits? Remove lenses before sleep. Store your case dry during the day. Use fresh CL solution, never use tap water. If your eyes seem irritated or red, remove your lenses. Consider using single use lenses. If you think you have an eye infection, contact your friendly local eye doctors right away!